Daha ucuz telefon için, kullanırken reklam görmek ister miydiniz? İngiltere merkezli akıllı telefon üreticisi Wileyfox, satışını yaptığı dört telefonu Add-X adını verdiği uygulama ile reklamı görmeyi kabul eden kullanıcılara kilit ekranında reklam göstererek telefonu %43’e varan indirimlerle satın alabilme imkanı sunuyor. 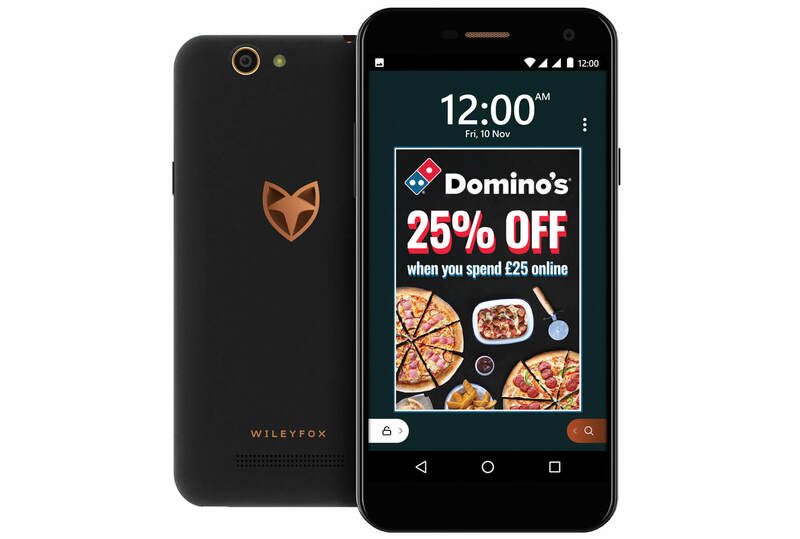 Wileyfox is already in the business of making affordable smartphones that prioritise value for money, and now it’s started offering most of its devices for significantly cheaper, provided customers are willing to put up with ads on their lockscreen. From today, you can get as much as 42 percent off the retail price of a Wileyfox phone should you opt to pick up the “Add-X” version. Amazon has a similar scheme in the US with ad-subsidised “Prime Exclusive” phones, and in the UK you can get a tenner off the retailer’s Fire tablets and some Kindle e-readers if you let Amazon stick its “Special Offers” on the lockscreen. Amazon’s Prime Exclusive smartphones, as the epithet suggests, are only available to Prime subscribers, and require you to link your Amazon account and install the retailer’s Android app suite. Wileyfox considers Add-X to be less demanding, and less intrusive. When you set up a new device, you’re asked to plug in your date of birth and specify your gender (male or female). This intel will be used to tailor the ads you receive initially, and what types you engage with or dismiss out of hand will shape what ads are served to you in the future. Should you actually want to see more about a product or service, or take advantage of say, a coffee promotion, Wileyfox hands you off at that point, and doesn’t collect any data on that interaction past the lockscreen. Ads and offers will always be age-appropriate, and Wileyfox says it’s not going to open the platform up to payday loan providers and such. The company is keen to be transparent about what data it collects and who it’s selling ad space to. Earlier this year, Wileyfox had to issue an emergency software update to phones after owners grew concerned about the preinstalled Yandex Zen newsfeed app, which was collecting user data without their explicit consent. The ads themselves won’t get in the way of notifications, weather widgets and whatever else you typically have on your lockscreen, and take just one swipe to dismiss. Your phone may end up using mobile data to download batches of ads, but apparently you’re looking at less than a 20MB shortfall each month. For these slight inconveniences, you can get up to £70 off the normal price of a Wileyfox handset. Wileyfox will sell Add-X versions on its own site and through Amazon, Carphone Warehouse and everywhere else you can find its phones already. The company also says every smartphone it releases from now on will have an Add-X variant. Now, even if you buy an Add-X model you don’t have to live with lockscreen ads forever. Chuck £40 Wileyfox’s way and within two working days your phone will receive an OTA update that strips everything related to Add-X off the device. Wileyfox is well aware that people could ‘hack’ the system in this way — for example, they could buy a Swift 2 Plus for £120 instead of £190, pay £40 to remove Add-X and effectively save themselves £30 off the cost of the phone. The company thinks that after using the Add-X model for a day or two, however, they’ll realise they can easily live with lockscreen ads and would rather save that £40. And maybe they’ll even find some value in a cheaper takeaway offer now and again. Japonya'nın yeni devreye soktuğu yapay zeka destekli kameralar, çeşitli marketlerdeki hırsızlık ve şüphe dolu aktiviteleri tespit ederek mobil uygulama aracılığı ile mekan sahiplerini uyarıyor.